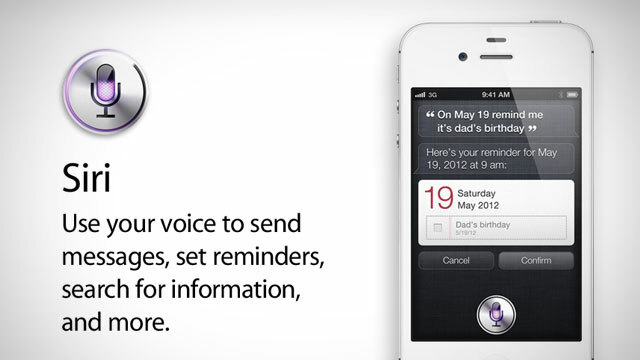 Is it just me who thinks that the new Siri app shows how lazy we’ve become? Or I guess maybe it shows how busy we’ve become? Work takes up a large percentage of people’s lives now and working days often consist of really early mornings and late nights with barely any relaxation time. So maybe there is a need for an app that can be used on the go and give us answers quickly? But is anyone really so rushed off their feet that they can’t stop for a few seconds to text someone or google the weather themselves, instead of speaking to a phone which will do it for them?! I mean, don’t get me wrong, it’s a great piece of intelligent technology and if I had the new iPhone I would most definitely use Siri, I just think it shows that new technology seems to be taking over somewhat and isn’t really necessary. Although I will be the first to admit that I’d be lost without my phone, laptop and the TV, I don’t think I’ll be purchasing the iPhone 4S just yet. Watch this space though, I might warm to it if I ever become a high-flying business woman always on the go!